Debris from construction and demolition is one of the biggest waste streams in the world. In Europe, it accounts for approximately 30% of all waste generated. In countries like the United States and China, the percentage is even higher. There are many great initiatives in place around the world for recycling this material, but in practice they often lead to downcycling: building products that once had value end up as fill under roadbeds or in one of many landfills. At the same time, we dig up tonnes of raw materials each year to turn into the building products that make up our cities and infrastructure. Vast excavations often destroy landscapes and ecosystems; basic raw materials such as construction sand and high-quality clay are becoming increasingly scarce. The need for alternative resources is an ever more pressing necessity. We started StoneCycling in 2013, seeing both a need and an opportunity to come up with a new type of building material: one whose main input is the waste we all produce. A more sustainable and circular material that proves it’s possible to build high-quality structures from waste. Just as important to our work is design: as we develop the next generation of building materials, we refuse to compromise aesthetically. Beyond functionality, we’re committed to proving that waste can be a resource that opens up a new range of beautiful and surprising forms, textures, and colours. StoneCycling was conceived in 2009 at the Design Academy Eindhoven in the Netherlands, where, as a student, Tom van Soest focused on upcycling waste he found in vacant buildings awaiting demolition. Tom began grinding, crushing, and mixing this waste in his homemade industrial blender; after many, many trials—and even more errors—he found a way to create new materials that were both resilient and appealing. After graduating, Tom started StoneCycling with his long-time friend Ward Massa, and in 2015 they unveiled their first series of WasteBasedBricks. The following year, the first building ever made from our bricks was constructed in the heart of Rotterdam. Upcycling fifteen tonnes of waste into a brand-new façade was both a major milestone and a glimpse of things to come. Since then, we’ve been on a roll, realising projects in the Netherlands, Belgium, Austria, Romania, and the United Kingdom. More buildings in Luxembourg, the United States, France, and Norway, among others, are planned for the coming year. We’re working with professional and committed partners in every part of the value chain. And our work has been featured in such renowned outlets as the Guardian, Smithsonian Magazine, Co.Design, and the Neue Zürcher Zeitung. However, we realise there’s a great deal more work to be done—which is why we’re more active than ever on the R&D side. 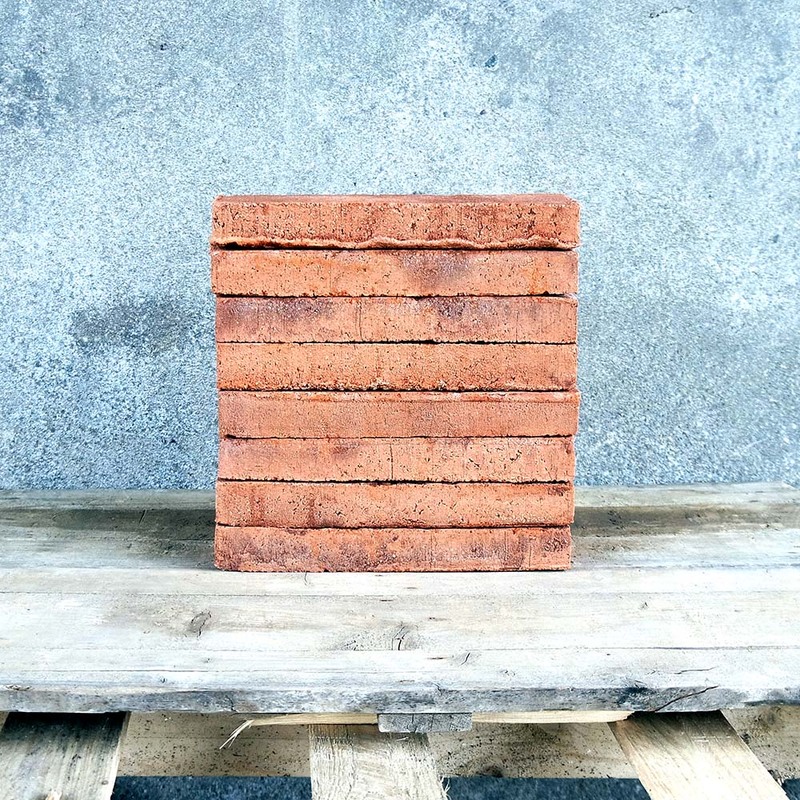 We’re not only expanding our range of WasteBasedBricks, but also experimenting with cutting-edge new technologies, creating tiles and other kinds of building materials for different applications, and developing dry-stack systems that can be disassembled at the end of their lifespan. In everything we do, we maintain our strong focus on upcycling waste and innovating design, working toward our dream of beautiful, unique buildings, all across the world, made entirely from circular materials. Join our coalition for a more circular world by signing up for our newsletter and spreading the word.